This blue menu is how you make adjustments to the appearance of the selected Content Card. The options in this blue menu will be different for every type of Content Card. 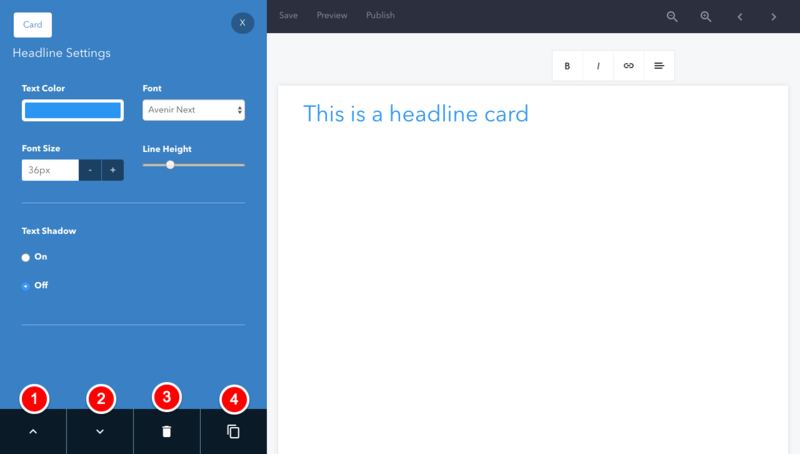 For example a Headline Card will have different options from the Gallery Card. 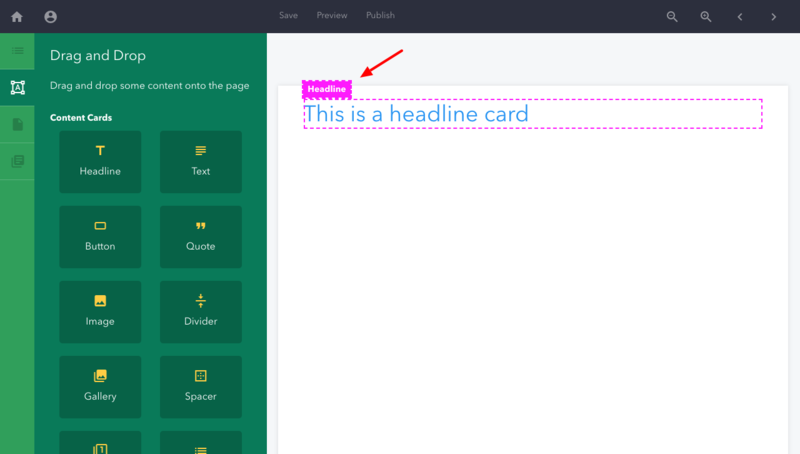 For more information on moving Content Cards, please see this article.